Gluten-free desserts that taste good are a hot trend. There is one Maine company that is very successfully following that trend. Jill Miller has over a decade of experience in the bakery business. 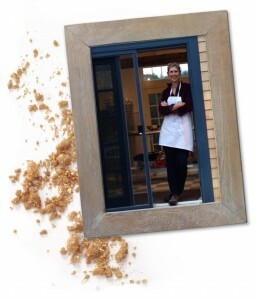 When she moved to Maine in 2000, she and her husband opened a bakery in the Lower Village of Kennebunk, Maine. When more and more customers asked for gluten-free options, she decided it was time to give them what they wanted. 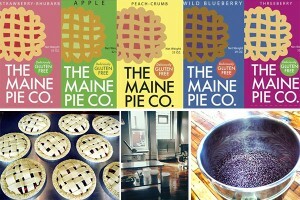 Her business, The Maine Pie Co., based in the North Dam Mill in Biddeford, ME, has been in business since 2014 and makes unbaked, frozen, gluten-free pies and tarts. Miller has created a product that is in demand, and a distribution system that enables her to sell her products from Maine to Maryland. 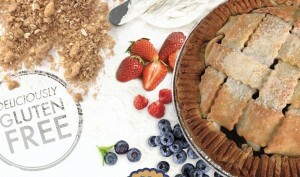 Her customers include Whole Foods, Hannaford, and other large retailers as well as specialty and health food stores. She came to see Business Advisor Steve Lovejoy seeking assistance with obtaining financing or a business expansion. As Miller was building her customer list, she realized that she needed to expand her production capacity in order to meet the growing demand. She worked with Lovejoy to develop her business plan and cash flow projections needed to acquire the financing to expand the size of her facility as well as purchase some larger production equipment to scale up capacity. With the help of Lovejoy, Miller was able to obtain a $130,000 loan with a $20,000 line of credit from Ann Marie Swenson at People’s United Bank.